Objects are alive with the presence of the people who have handled them. Myths and legends are interwoven with daily life. Visionaries, mystics, charlatans, artists, and the dead speak to us like chatty neighbours. An imaginary library catalogues missing people. Reading becomes a way of remembering the dead. Home is an elsewhere we are “called to,” a mystery that impels children to wander off, and adults to grow in unexpected directions. 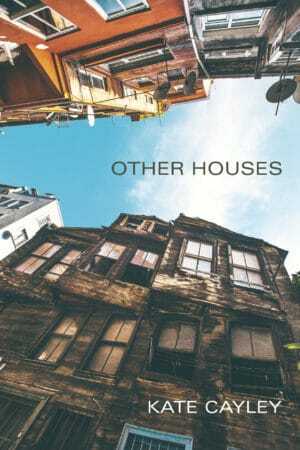 Each of these poems unfolds with the sweep and precision of a compressed novel. 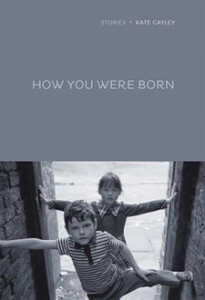 How You Were Born is a collection of stories that investigate the bizarre, the tragi-comic and the unbelievable elements that run through human lives. An aging academic becomes convinced that he is haunted by his double. Two children believe their neighbours are war criminals in hiding. A dwarf in a circus dreams of a perfect wedding. An eleven-year-old girl becomes obsessed with the acrobat who visits her small town. Two women fall in love over a painting of the apocalypse. A group of siblings put their senile Holocaust survivor father into institutional care, while failing to notice that he is reliving the past. 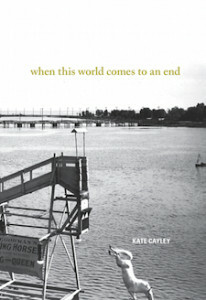 Each story examines, from a different angle, the difficult business of love, loyalty and memory. With elegance and restraint, in spare language, these narratives run the gamut from realistic to uncanny, from ordinary epiphanies to extremities of experience. Settings range from present-day Toronto, to small town Ontario in 1914, to West Virginia in 1967, characters ranging from the very young to the very old, the manifestly unhinged to the ostensibly sane. These are dark stories in which light finds a foothold, and in which connections, frequently missed or mislaid, offer redemption. Available at Another Story Bookshop. Françoise Laurent has never had an easy life. When her parents die suddenly from the smallpox ravishing New France (modern-day Montreal), Françoise sees it as a chance to escape the life she thought she was trapped in. Seizing her newfound opportunity, Françoise takes a job as an aide to the wife of a wealthy fur trader. The poverty-ridden world she knew transforms into a strange new world full of privilege and fine things—and of never having to beg for food. But when Françoise is caught stealing a pair of her mistress’s beautiful gloves, she faces a future even worse than she could have imagined: thrown in jail, she is sentenced to death by hanging. 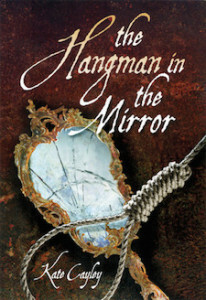 Once again, Françoise is left to her own devices to survive … Is she cunning enough to convince the prisoner in the cell beside her to become the hangman and marry her, which, by law, is the only thing that could save her life? Copyright © 2019 Kate Cayley.